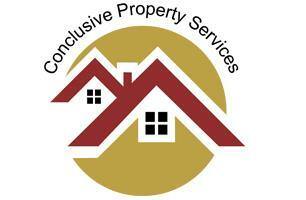 Conclusive Property Services Ltd - Central Heating Engineer, Plumber based in Manchester, Greater Manchester. Conclusive Property services is a successful multi-disciplinary construction organisation, undertaking major construction projects throughout the Northwest. We have worked for a wide range of clients, from major construction contractors and industrial companies through to smaller private clients, both directly and via professional appointments. We pride ourselves on our commitment, reputation and commitment to construction – the right way. Any sort of issue with plumbing, heating or drains, our Plumbers can be onsite to help same day, or at a time to suit you. Conclusive Property services engineers available to be onsite within 2 hours on average to fix your problem. All of our local plumbers are fully qualified in all aspects of plumbing, heating and drainage work, completing domestic and commercial work every day right across your area. Give us a call now. Our rates are very competitive and all work undertaken is guaranteed and fully insured. Whether your issue is with a broken boiler or heating, a lack of hot water, leaking taps, sink or toilet, or a blocked external drain we can help. For a rapid response 24 hours a day, 7 days a week, call us right now!